Enjoy a pedestrian tour of the city of Verona to discover all the food and wine-connected traditions, while savouring some of the best local specialities and wines. Discover all the food and wine history of the city of Verona with an expert and passionate gastronomic guide. Through an itinerary on foot through the city centre you will have the chance to discover and stop at some historical shops and taverns where you can get insights on the local food-connected traditions. During the tour you can also listen to historiesfrom the past, learn how people from Verona live and sip a glass of top-quality Valpolicella wine. 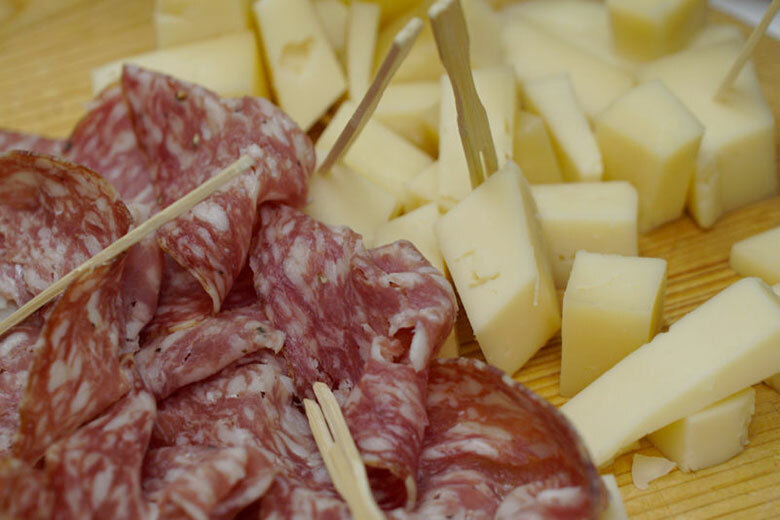 Verona boasts a rich food and wine heritage which includes a vast array of cheese and cold cuts, to be paired with freshly baked bread and a glass of white. The most typical wine from Verona is the Valpolicella, a red wine produced in the very area of Verona and its countryside. The long wine-producing history has helped creating the reputation of Verona as the Italian capital of wine. Meeting point: 10 minutes before the Tour at the Veronality InfoPoint. Address: Stradone Porta Palio, 23 (100 metres from Castelvecchio). If you are late you lose your deposit (in case you are late, get in contact with the staff via the emergency number +39 327 4674179). few mins – enjoy an espresso coffee.